Financial support of the Foundation allows us to invest in programs to help Central Texas ALS families. No gift is too small, and we have yet to see one that is too large! One-time gifts or memorials, as well as annual gifts or endowments are welcome and can make a real difference in the lives of the families we serve. Without our donors, we would not be able to continue helping these amazing families as they face the struggles of living with loved ones afflicted with ALS. If you are willing and able to give a monetary contribution, you may do so online through Paypal or through more traditional methods by contacting the Foundation. We will gladly acknowledge your gift.  Donate online through PayPal or mail a check to the The Busby Foundation. You are here because you care. The work of the Foundation is impossible without the assistance and support of our volunteers and donors. If you want to go beyond a monetary donation, we are always looking for help. Please consider joining us in battling this disease by volunteering your time and talents. We are always seeking volunteers to help out at our annual, fundraising events and appreciate business and individual sponsorship. Please contact us and tell us the experience, talents, and time you are willing to share to help support our mission.